2018 is deemed to be a big year in the world of fashion industry. 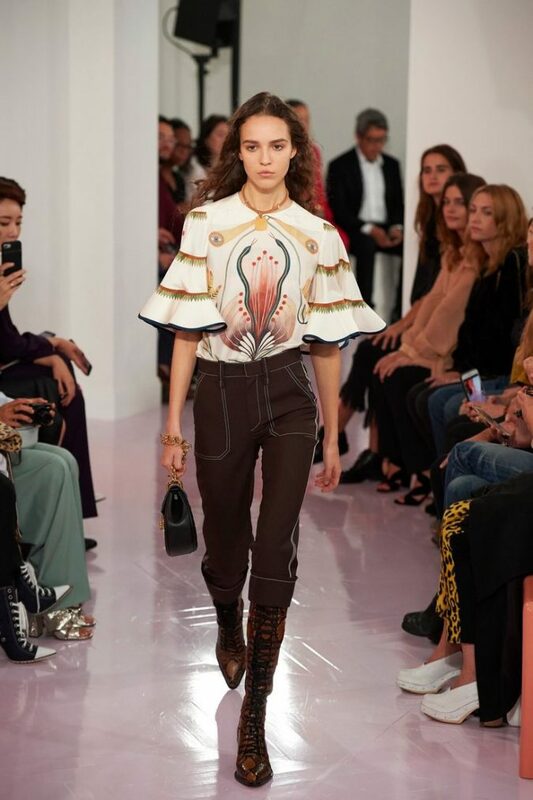 The fashion world constantly evokes new trends that we get to see on the runway every day, so what is so special about this summer in particular? Well, the good news is that the latest trends include brand new styles along with old-fashioned ones that were modified to cope with our modern world. This means that your wardrobe remake is going to be that dramatic. You are free to open up your mom’s closet and see what from the 90’s trends that she’s still keeping and pull it off. However, keep track of the newest trends as well. Check out the biggest trends of the season that you should include in your wardrobe. It is anticipated to find swimsuits on the top of the list. After all, it is summer time, and we tend to spend most of our times on the beach, so we may as well look on fleek even when we’re immersed in the waters of summer. This year, the swimsuit style that is taking over is the belted one. It is available in almost all forms of swimsuits, one-piece suits, bikini, and tankini. Besides putting on a nice-looking swimsuit, the belt is an additional accessory that enhances your look and serves it in your favor. White is not only an angelic color, but it is also so breezy to put on during the hot seasons while enjoying yourself under the sun. 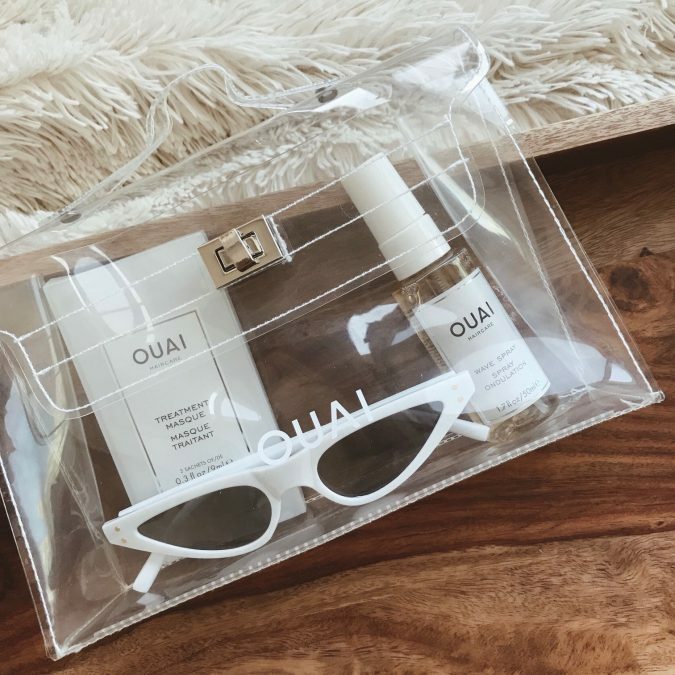 This summer, white dresses are taking over, so make sure you pack them up when you are ready to hit the beach. The best part is the versatility of the color; you can easily mix it with bright colors either in shoes, bags, or accessories. Above and beyond, this color is perfect for the steaming hot days; they don’t absorb too much heat that leaves you feeling exhausted and out of energy. Gladly, the floral patterns have made their ways from spring through the summer. They are making a big appearance in almost every key item. Different patterns of floral are also available, so you can always find something pleasing to you and still keep yourself trendy. The best part is that floral patterns are not limited to clothing pieces only; they can be found in bags, shoes, scarves, and accessories. If you are up to matching two sets of floral patterns, make sure you combine the right pieces or else, you will end looking unusually weird, and that’s the last thing you want to do, if ever. It may look like you are holding a basket during your outings, but guess what? Those bags are the latest styles you will see while flipping the fashion card. Net bags do not only look trendy, but they are also so flexible to hold and are big enough to carry your essentials. Feel free to sport this basket-like bag and see how other women will be wowed. See, that is exactly what we were talking about. This trend is quite old, and we have seen many women nailing it in the 90’s and early 2000’s. Voila! It is back again; these tops are quite flattering, they define your feminine and accentuate your upper body. Here is just a quick hint, you definitely won’t pull off a regular bra; strapless ones are abundant, but if you struggle with this kind of bras, go for a convertible one. Another oldie trend on the list. Women used to pull off matching sets and go, nowadays, they are available for you to try on. One of the year’s top trends is all-over print. 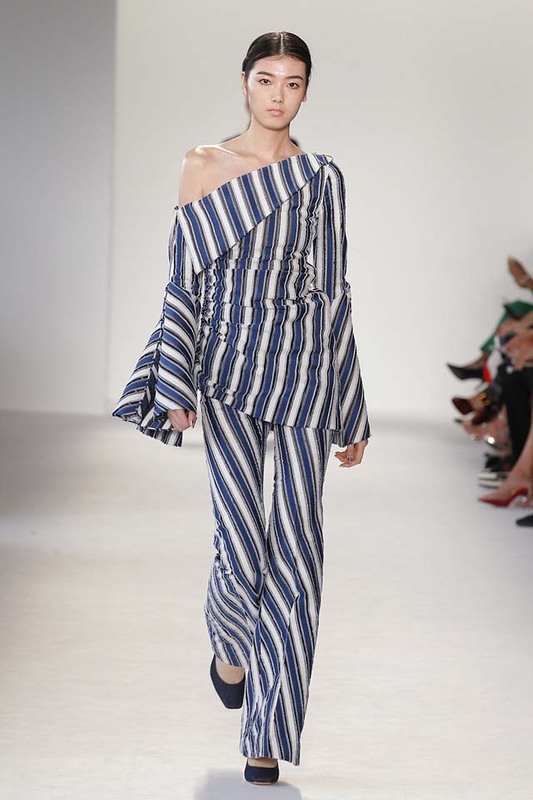 You can put in two matching sets of stripes, polka dots, or whatever works best for you and you are ready to go. How cool is that! Here we go; this trend is resurfacing for once more. Crop tops used to be a cool trend in the 90’s; women and teen girls wore them to show how confident they were and how satisfied they are with their bodies. If you have been working those abs through the past months, you deserve to show them off and reveal your hard work. Besides, they are easy to pull with different types of bottoms. You can easily pair a crop top with your favorite trousers, dark washed denim, a striped skirt, or even linen shorts. Too many options to choose from. Before you judge this point on the list, see what we have got to offer. It is not that loose denim jacket over an old-looking pair of jeans. 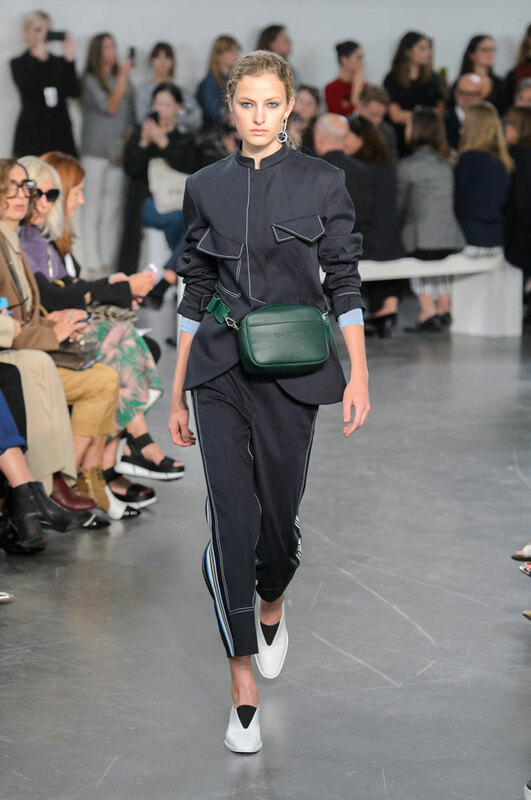 Honestly, it is quite close but looks so much better with the newest trends that include skinny pants. A lot of celebrities have pulled off this trend, and they rocked it. Not just because celebrities usually look good in almost every style, but because they know how to combine the perfect denim key items. 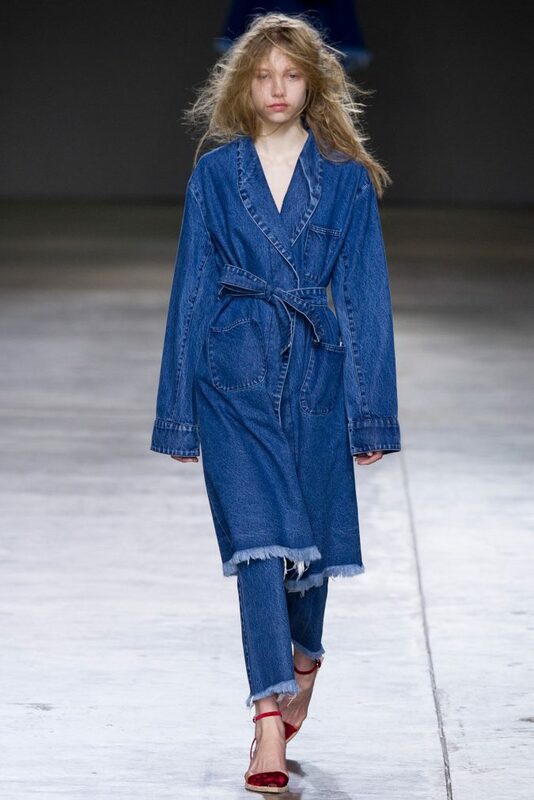 That is the secret behind wearing a nice denim-on-denim style. Above and beyond, you are not putting on a suit; the two pieces don’t have to look identical in either shade of color nor model. They have to go perfectly together. The thing that some people tend to ignore, or forget, is that white denim can be included and it makes your appearance far more charming. In the past, chokers used to be the necklaces worn by rock punks and hippies. It was a bit limited, but later it grew wider so that all women loved putting them on. In 2016, chokers were back into the fashion scene once again, with new materials and new styles. Ever since then, it has become an essential piece of accessory in almost every girl’s wardrobe. This year, they are still everywhere, and they have been listed among the top trends of the season as well. However, this time, they are usually layered with other necklaces for a trendier appearance. 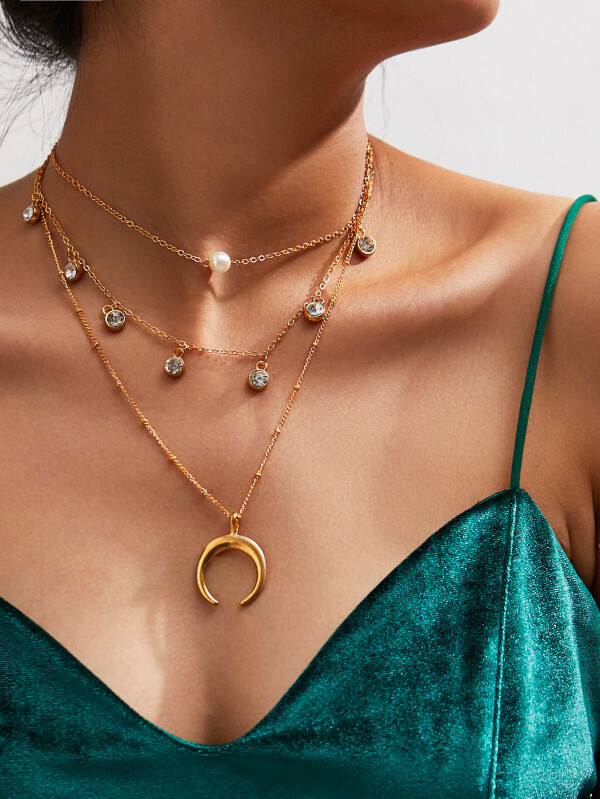 There are even ready-made layered necklaces that you can pull off below your choker. 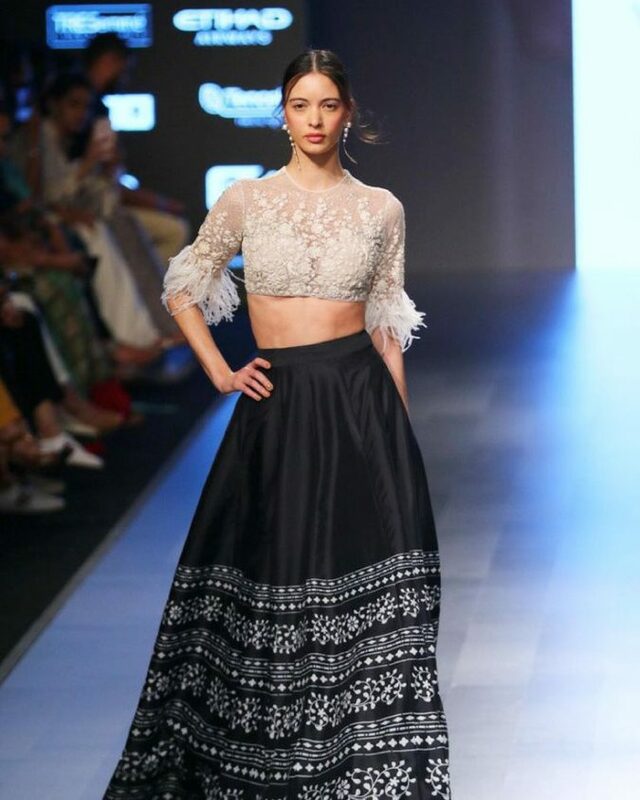 We have already mentioned that crop tops are still on the fashion scene, but, apparently, going to the next level seems to be much trendier. This summer Ultra-cropped tops or bra tops seem to attempt to push the crop tops aside, but they are not entirely doing that. Since the weather is always hot in summer, opt for one of those statement tops. A lot of celebs were spotted nailing this style. They work perfectly if paired with high-waist pants or shorts. Jumpsuits are not only trendy, but they are also truly amazing and very comfy to wear. Besides looking on flair, they also save you the trouble of thinking how you are going to combine your top and bottom pieces. That one-piece thing is just a time saver and a true blessing. Thankfully, they are back once again; they were the trend of the 70’s all the way through the 90’s. They, unfortunately, were sucked into a void hole for some time, but now they are here for once more. Well, it is not one of the trends that everyone is obsessed with this summer, but they are still there, and they have their fans, we cannot deny that. 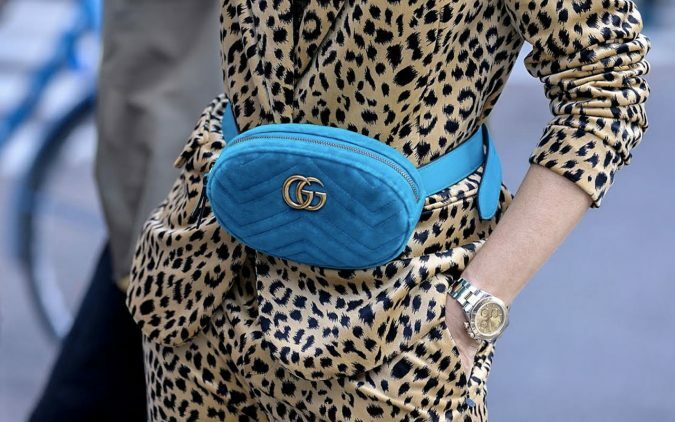 Fanny packs made a huge comeback without an introduction, but the good news is; the latest styles are looking cooler than we thought. They come in a lot of different bright colors, and some of them are even looking quite sporty. Probably one of the styles are so distinct during the seasons are those of the footwear. In summer, we tend to go for sandals, espadrilles, and sneakers as ugly dad sneaker trend; on the other hand, velvet shoes, soft ugg boots, and ankle boots are our go-to. 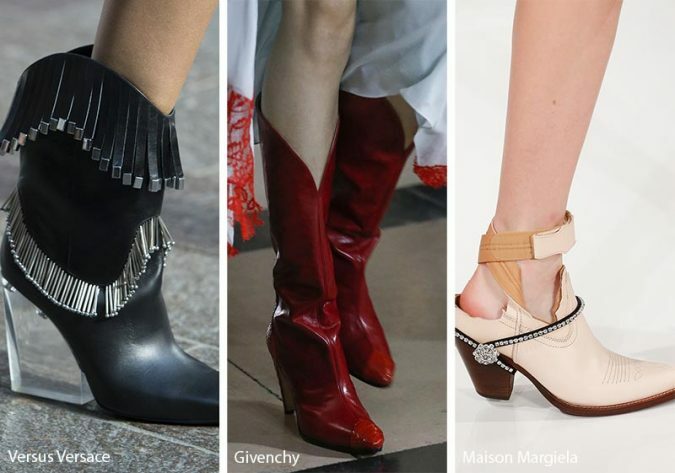 But, the good news is the fashion world allows leather boots to make an appearance off-season; there is room for them in the hot seasons after all. This summer, ankle boots are sticking around, and they look pretty cool and appropriate for the season despite everything. Remember those sunglasses that Keanu Reeves pulled off in the Matrix Series? Well, they are back again with a lot of cool styles. 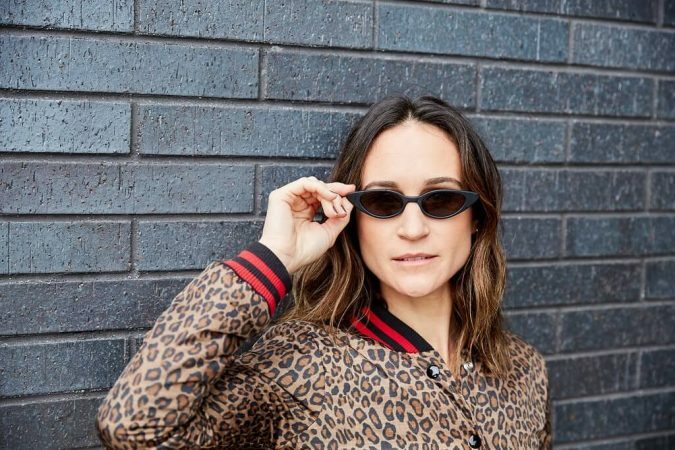 It is great news for people with small rounded faces who struggle to find suitable sunglasses for their face shape in that pool of big ones. However, they are not meant for only people with small face shapes; it works for almost every face shape, but make sure you go for ones that compliment your appearance. For example, ditch the ovals or the rectangle-shaped mini sunglasses, and go for ones with the cat-eye lens. Yes, that is weird, isn’t it? Who could have thought that this trend would be around for once again? But, anyway, here they are; shoes and bags that are clear to show your feet and those belongings inside your bag. Concerning your footwear, go for flat sandals or shoes with low heels; they are easier to walk in; besides, they don’t cover your whole feet, so your feet won’t get that hot in the summer, there will be that hot whiff of wind that passes through. For the bag, try to color up your belongings, so that it looks colorful and bright. The list keeps going on and on because fashion is unstoppable and that is the beauty of it. However, those 15 trends are the top deals of the season, go and grab whatever suits you best out of all of them and always stay trendy.